Small pieces of leather for all your odd jobs. 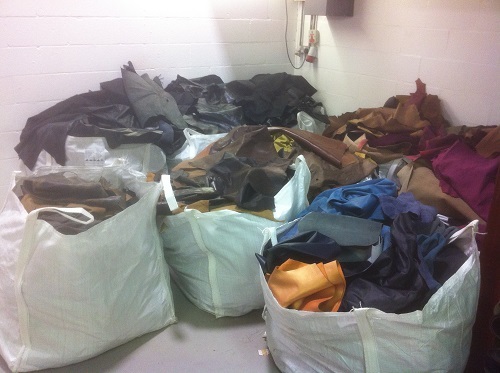 If you are looking for that odd piece of leather, to make a jacket or repair some furniture, then you should visit our warehouse in Steeton and explore the leather offcuts pile. This is a jumble of different coloured leathers, at cut price, ideal if you only need a small piece of leather.